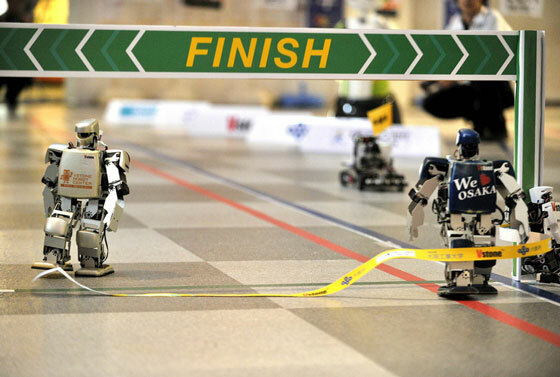 The world’s first full-length marathon for two-legged robots was held in Osaka last week. The winner took more than two days to cross the finish line. Humanoid robot takes on J-pop soon? HRP-4C Humanoid Robot, which was first introduced last year, now sings even more naturally. Who knows, we might be seeing a robot singing on Music Station soon. Update: Sharing another newer video of the robot singing and ‘dancing’ too.